A rare skin infection is affecting some seafood shoppers of New York City's Chinatown, local health officials warned Wednesday. 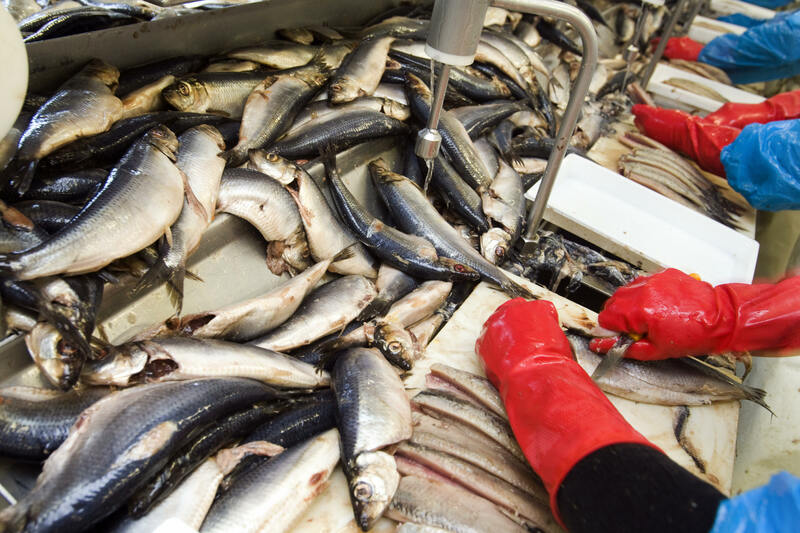 Thirty people have been infected by bacteria called Mycobacterium marinum, which were transferred from contaminated fish or seafood (live or raw) into people's bodies through a cut in the skin, the New York City Health Department said in a statement. They were in contact with fish or seafood at markets in the Chinatown areas of Manhattan, Brooklyn and Queens. People infected with the bacteria develop "fish tank granuloma," according to the Centers for Disease Control and Prevention. Symptoms include red, tender lumps or swelling under the skin of their hands or arms that could be painful and lead to difficulty moving fingers. A granuloma refers to a small area of inflammation in a tissue. "It is a pretty uncommon bacteria and usually requires that you have some kind of cut or wound on your hand or arm that serves as a way for the bacteria to enter your body," Dr. Jay Varma, the department's deputy commissioner for disease control, told CBS New York. "People will have pain and difficulty moving their hands and know something bad is going on," he added. Antibiotics should be started quickly, or a patient might need surgery if the infection gets deep enough. Because the infection is so rare, diagnosis is commonly delayed. Then, the infection burrows deeper into areas like the bone in about one-third of reported cases, the CDC added. Varma said some patients have gone weeks or even months before getting diagnosed because it could look like a normal skin infection. Some of the patients with infections opted for traditional Chinese medicine or types of antibiotics that didn't work, the Health Department said. Some of the 30 patients already had cuts on their hands when they touched the seafood. Others cut themselves when preparing it, such as on a sharp crab shell or fish bone. The infection can't be caused by eating contaminated fish or seafood, and it can't spread to others. To reduce risk, wear waterproof gloves when preparing raw or fresh seafood. At the very least, wash your hands with soap and water after handling it, which is especially important if you already have cuts or skin problems on your hands. People who think they have the infection should tell their doctor they think they have the M. marinum infection that occurs after handling seafood, the health department recommended. "This is a very uncommon bacteria so the fact that we've detected 30 cases so far suggests that something has changed, either about the water in the tank or the tanks themselves or the types of fish or seafood that are causing this problem," Varma said. "We're still in the process of investigating all of the cases, that includes interviewing them and finding out which markets they specifically shopped at and what types of fish they actually bought."